Fact-Finding before the International Court of Justice examines a number of significant recent criticisms of the way in which the ICJ deals with facts. 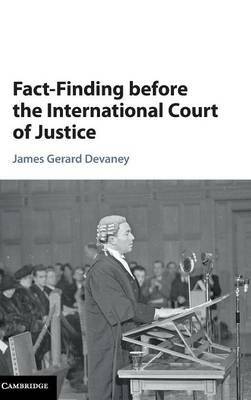 The book takes the position that such criticisms are warranted and that the ICJ's current approach to fact-finding falls short of adequacy, both in cases involving abundant, particularly complex or technical facts, and in those involving a scarcity of facts. The author skilfully examines how other courts such as the WTO and inter-State arbitrations conduct fact-finding and makes a number of select proposals for reform, enabling the ICJ to address some of the current weaknesses in its approach. The proposals include, but are not limited to, the development of a power to compel the disclosure of information, greater use of provisional measures, and a clear strategy for the use of expert evidence.